The decision to homeschool your children is one that is unique to every family. 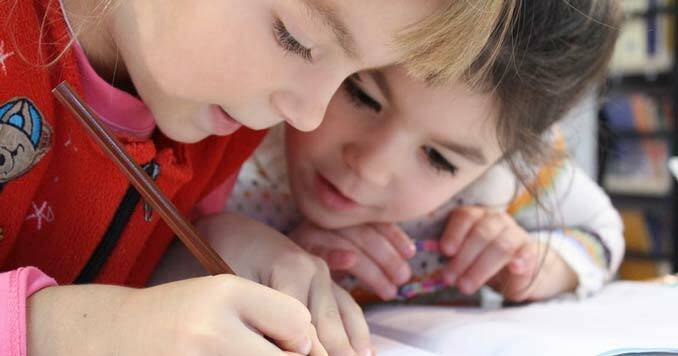 Whether it’s a matter of convenience, a decision that comes with the ability to control the curriculum or a chance to enrich your children’s educational experience, there are many benefits to homeschool that traditional schools cannot offer. Families that are preparing for natural or man-made disasters that would interrupt traditional schools will find that getting children acclimated to a homeschooling system early will make things easier should something happen to prevent them from attending traditional schools. For families that prefer an off the grid lifestyle, being able to provide a customized education is very appealing. No matter what your reasons are for homeschooling, there are plenty of resources out there to help your family on this journey. There are a number of benefits to homeschooling. Controlling the curriculum is a major draw for parents who homeschool, as is the ability to set your child’s schedule. Homeschooling is very convenient for families who travel a lot, or who have children who participate in sports acting or even traveling youth symphonies. Families who live off the grid also appreciate homeschooling as a means to keep their kids away from “the system” while providing a flexible schedule so that the kids can help with activities around the house. There’s no question that having family close to home is a much more desirable thing should there be a major disaster; with roads full of cars during natural and man-made disasters trying to get kids from school is a challenge that would be better to avoid. There’s also the ability to control the curriculum with homeschooling, and because your kids are not part of a traditional school district you have the option to choose whether or not you want your kids to receive certain vaccinations if that’s something important to you. At the most basic level, homeschooling offers a great deal of control for parents in an increasingly out of control educational environment. Being able to provide a solid educational experience for your children that reflects your beliefs and lifestyle is extremely attractive in many cases. The first consideration is to ask yourself why you’re homeschooling. 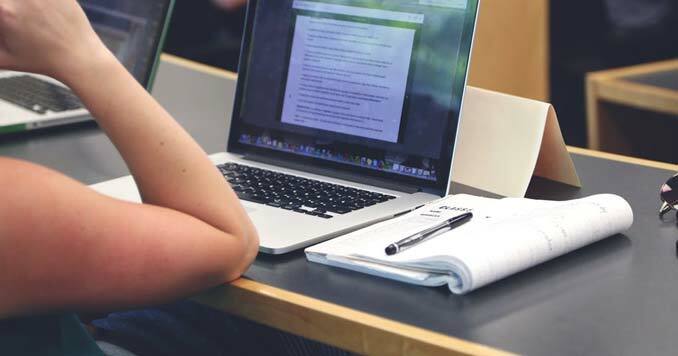 If you want to avoid the Common Core education, which is utilized across the country in public education, then be advised that many free online programs will teach to the Common Core, so you’re not avoiding that problem by choosing one of these programs. If you need flexibility in your child’s schedule, then make sure that you’re not using a program that tracks how much time your child spends working on lessons. This would be counterproductive as it requires a certain amount of classroom time per day. There’s also the decision between providing a secular or religious education. This will impact things like science classes and how you choose to convey certain concepts like evolution. Once you know what you’re looking for in a homeschool experience, you need to do some research into your state’s rules and regulations as to creating a curriculum. The internet makes homeschooling so much easier now than ever before. If your main desire is to have your kids close to home, most states have online K-12 schools available for free. There are also private online schools that are available, as well as the traditional curriculums that rely on parents to take on the role of teacher. Everything depends on what you’re looking for and how involved you want to be. Before you get started, it’s important to know what your state and local school district requires of you. While online schools are becoming more mainstream as homeschool options, many states have additional requirements to ensure that your child is up to date with lessons. Some states will require your child to take yearly standardized exams while other states will offer little interference to your plans. There’s no general database that lists requirements by state, so this will require some homework on your part. Some parents want to homeschool their children but don’t have time to be the ones running the curriculum. You can find retired teachers, current teachers or even private tutors who can step in to help with your homeschool plans. There are some states that have regulations about who can serve as homeschool educators, based upon parents’ educational backgrounds. Again, these are all things that will require research on your part before you begin. Make sure you are not putting yourself in legal jeopardy! Be advised that it’s not as simple as pulling your child out of school and declaring your intent to homeschool, and though it’s a hassle it’s in your best interest to make your intention crystal clear so as to avoid problems later on. Survival Mom recommends joining a homeschool legal defense organization to protect your rights should your local district raise any issues to your homeschool plans. There are homeschool organizations in every state, so a little research will help. Again, as much as you might want to stay off the grid here, this is one step you should take to ensure that nothing disrupts your plans. Once you know what kind of education you want for your children, you’ll be able to find a great number of resources to support your efforts. There are helpful guides and curriculums available from institutions like Khan Academy and Monarch that will make it easy to get started. For most parents who are just getting started, one of the first questions they ask is often, “what homeschool curriculum should I use?” To be honest, there are no one-size-fits-all solutions or “best program” that we can recommend. Every kid is different, and for many of us, the reason we choose to homeschool our kids is to be able to break free from strict government curriculums that have left many of our kids behind. Also, keep in mind some parents opt out of traditional programs, and actively avoid curriculums, especially those that align with Common Core Standards. Since some of these programs can be quite expensive, we wanted to give you to budget-friendly options to explore. Horizons curriculum is a Christian based workbook program that everything you need to help your child master concepts through the process of introduction, review, and reinforcement. They have curriculum plans for PreK-12, and they all cover the six core subjects. Easy Peasy is a complete, free online Christian homeschool curriculum; all you need is access to a computer and the internet. For those who don’t want there kids on the computer all day, they do have workbooks for sale. You can access their program here. Evan-Moor offers both courses specific workbooks and curriculum bundles for grades 1–6. They offer instruction in the following subject areas: reading, writing, language, spelling, vocabulary, math, science, and social studies. You can find the single workbooks and the bundles here. The 180 Days of Practice series is designed to walk kids, in grades K-6, through learning language, reading, writing, spelling, science, social studies, and mathematics. Each book gives you 180 days of daily activities. Brain Quest workbooks are another budget-friendly option for anyone with kids in pre-kindergarten through sixth grade. The workbooks have exercises and games in every subject and are a great way to reinforce what they are learning. They are designed as an added resource, not to serve as your primary teaching tool. After you have selected your curriculum, establish a schedule if possible. If your purpose in homeschooling is to work around a busy schedule, then create guidelines, like a predetermined amount of time spent studying per day. Otherwise, try to stick to a schedule so that your child can get into a rhythm. If you’re planning to incorporate field trips into your curriculum, create a calendar and have it readily available. You’ll need basic school supplies, and you’ll need to designate a workspace for lessons. This is incredibly important for some children, who need structure with their education. (Of course, there’s absolutely nothing wrong with the kitchen table) Reliable internet is important, as is a working computer, tablet or laptop. One of the greatest aspects of homeschooling your children is that you’ll join a community of parents who share your beliefs, no matter what your motivation to homeschool is. You’ll find national organizations, groups at the state level and plenty of local groups who can help you on your journey. Some families meet up weekly so that kids can spend time together while parents share tips and tricks, while others join together to help each other with lessons and field trips. When you embark on this journey, know that you’re not alone. TED-Ed: Have to heard of TED Talks? Well, TED-Ed is TED’s youth and education initiative. It helps you build lesson plans around TED talks, TED-Ed resources, and YouTube video. Khan Academy: Khan is a nonprofit that offers free online lessons and interactive exercises on math, science, computer programming, history, art history, economics, and more. It’s completely free and includes practice exercises, instructional videos, and a personalized learning dashboard. They also offer content from NASA, The Museum of Modern Art, The California Academy of Sciences, and MIT. NASA for Students: The website offers various STEM-related articles, videos, and activities for students in grades K-12. Project Gutenberg: A free online library featuring more than 45,000 eBooks, including a library of children’s classical literature by some of the world’s most beloved authors. Discovery Education: Free resources for parents and students, including lesson plans, videos, and more. If homeschooling is a short term goal, then make sure that you have a concrete plan to keep up with your child’s grade level. Talk to the school where your child will enroll so that you can make sure you’re following along with the curriculum. The school may ask for grades: Make sure you keep detailed records. But keep in mind the school has the final say on what they accept and where they place your child. Keep track of scores from any standardized tests they have taken. Schools have a lot of rules, make sure you give yourself and your child time to adjust. application standards. Since applications are sent out the fall of your child’s senior year, there isn’t much time to do any corrections should an issue arise. Should you and your child decide to pursue Advanced Placement coursework, it’s possible to take the exams without being enrolled in AP classes. However, if you’re looking for the weighted GPA that comes with AP coursework, you might need to work with your local school district to have your child take classes at school in order to capture the credits. You can sign up for AP exams and take them as scheduled at the local high school, but again you’ll need to work with the school to make sure it’s possible for your child to sit in on the exam session, which takes place in May. Many local community colleges allow high school students to take classes for college credit. You can help your student gain college credits starting in the sophomore year by taking community college classes. You will need to show homeschool transcripts to the community college counselor to determine eligibility, but as your child approaches high school graduation, it’s a great idea to utilize community colleges to earn college credit and fulfill high school graduation requirements at the same time. This will also have the added benefit of helping to integrate your student into a college environment. Taking community college coursework can be done in lieu of taking AP courses and exams, as the credit transfers into colleges in the same way. This is often referred to as dual enrollment, and eligibility requirements vary by state. If your child plans to pursue college athletics, keep in mind that the NCAA has its own academic eligibility requirements and you will have to demonstrate compliance with the rules and the academic coursework needed. The NCAA is very strict when it comes to their initial eligibility requirements, and while students in online courses usually fulfill all of the necessary requirements it’s easy to miss something when you’re running your own curriculum. You might even be asked to explain or defend coursework should there be a discrepancy or question about it. junior year of high school, which means there isn’t much time to correct issues should you find that there is a missing requirement. CLEP (College Level Examination Program) exams are a great way to not only cut back on college expenses, but they are also a great way for homeschool students to get a jump on their college education. CLEP allows kids to earn college credits, in intro-level college course material in 33 subjects, all without ever having to step foot in a traditional college class. CLEP exams are multiple choice exams that are administered at local testing centers, often at community colleges. According to the CollegeBoard, passing a single CLEP test save you 100+ hours of class time and up to $1,200 in tuition. CLEP is accepted by 2,900 colleges and universities and administered in more than 1,800 test centers. 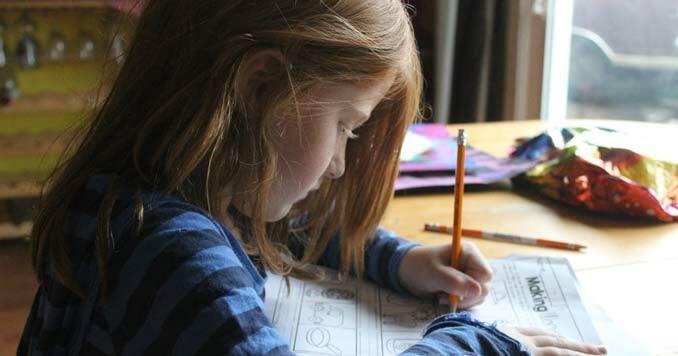 Homeschooling can be an incredibly rewarding experience for both you and your children. It’s not a decision to be made lightly, but in most cases, it’s the best decision you can make. Not only does it allow you to spend more time with your kids, but it also means you’ll know what they’re learning, and you can provide enriching experiences to enhance their learning. The most important takeaway about the decision to homeschool is that you need to do your homework. There are lots of rules that govern homeschooling so making sure that your plans are in compliance is absolutely key.